From the outside in, the Wearing Confidence Program might look like an outreach where girls go away simply dressed better than they did when they first came in. Most people don’t get to see the depth of the difference that occurs during the valuable two hours of each boutique or educational session. 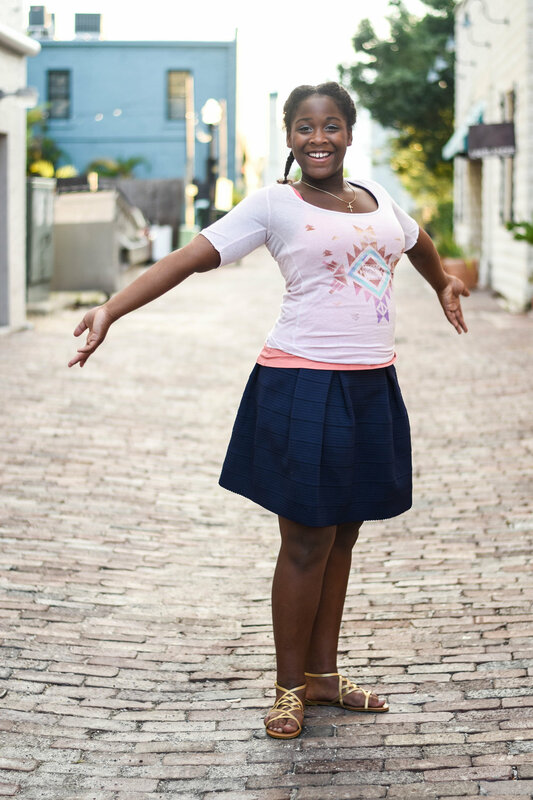 During our boutique sessions, we serve on average 10-15 girls at a time from our enrolled organizations. Oftentimes when the girls come in, their faces are expressionless. They will sometimes stare down at the floor or out of our front window as we explain to them who we are and the heart of Top Buttons to be a steady resource for them in the community. The girls might not look like they’re listening, but we know they are - so we press on with the session with faces and voices full of love and affirmation. Each girl who attends one of our boutique sessions is paired with a stylist. While the title of “stylist” might sound basic - it’s not. The “stylist” has the responsibility of not only helping their young lady shop, but also to build a rapport. 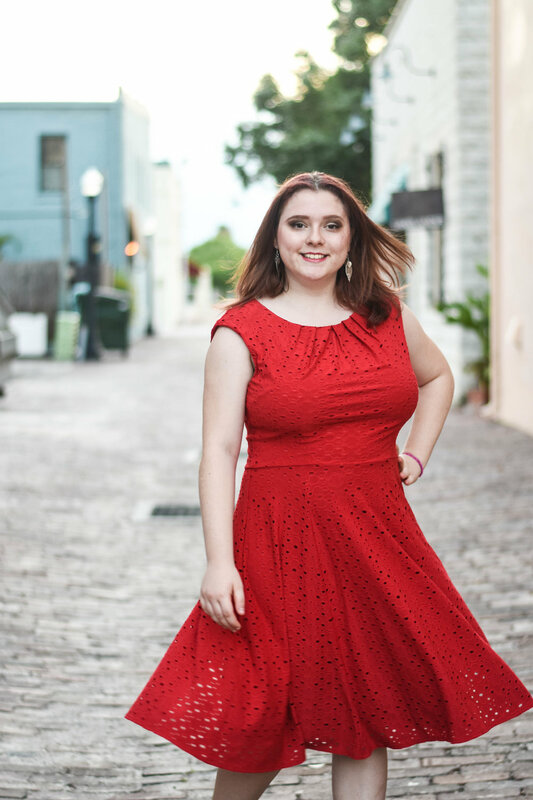 While the clothes might be the topic they can first find common ground on - each stylists’ real mission is to speak words of encouragement, confidence, and love. You can actually feel the difference in atmosphere through the evening as these new relationships are being formed. Things get louder and you can hear more chatter and giggling throughout the boutique. Watching these walls come down is my favorite part of each session. While the evening starts out quiet (and maybe even a little suspicious), it evolves into one of the best Girls’ Night Out’s these girls have ever had - because it’s a night out with purpose. Each young woman we serve is introduced to the truth of Ephesians 2:10, that she was created by God’s own handiwork, for and with a purpose. Her being here, at this time, is no accident. Throughout each event, girls are assured of this truth and also of Top Buttons’ passion to be a resource for her to find and achieve that purpose. It might be clothes that get these girls in the door, but it’s the counter-cultural truth that they are more than an object that makes the difference. While the boutique sessions are a platform for this truth and often a good introduction to the Top Buttons mission, our educational sessions are where we see the girls come to realize that they do have the ability to change their stories. It is through these sessions where they learn how to set attainable goals and are equipped with the confidence, knowledge and skill sets to complete their educations and find their position in the workplace. It is a joy to watch these girls come to the realization that they are capable of reaching their goals and do so confidently! 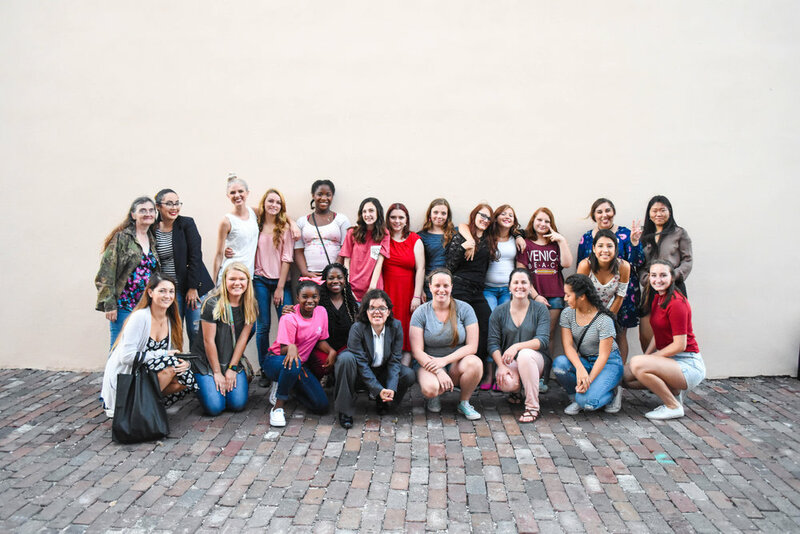 Learned skills, combined with professional portfolios and professional fitting business attire, make these girls feel worthy of walking into any classroom, workplace, or interview. A term I’ve recently been introduced to is “enclothed cognition”. It’s the psychology that clothes can influence and change not only the way people perceive us, but the way we perceive ourselves. I know when I run to the grocery store put together, I feel a whole lot better running into someone I know than when I’m not! When these girls feel put together through the guidance they receive in our boutique and educational sessions, they are equipped with every tool they need to put their most prepared and confident foot forward. The greatest compliment we’ve ever received was at the end of a session when a young lady said, “I wish we could stay longer, it just feels good here.” We understood exactly what she meant. What a gift these girls give Top Buttons by letting us serve them. Then our hearts become even fuller when the girls come back with family or friends during public shopping hours, allowing us more introductions into their lives and community.